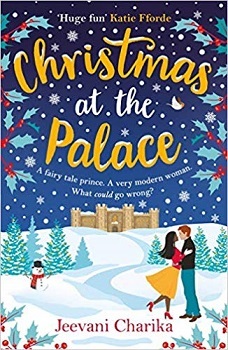 Snuggle up with the perfect Christmas romance that readers have fallen in love with this year, as one ordinary girl learns what it means to love a prince. Not even in her wildest imaginings did Kumari ever think she’d become a princess. But having fallen for Ben – or rather Prince Benedict, sixth in line to the throne – it looks like nothing will ever go as planned again. And as Christmas rapidly approaches the distinction between family festivities and Royalty becomes ever more apparent. With the paparazzi hounding her, her job on the line and some rather frustrating royal training, Kumari feels panic set in. Does loving Prince Charming mean she’ll get her fairy tale ending – and on her own terms? Hospital Doctor Kumari Senavaka also works for ‘Better for All’ charity and was competing for a grant to help their work. She had to give a five-minute speech to be in the running in front of a crowded room including HRH Prince Benedict and was feeling very nervous and made a couple of mistakes. A few days later she is asked to go on a blind date with someone called Ben and doesn’t put two and two together. The two have fun and agree to see one another again. But are a normal, everyday hospital Doctor and a Prince really able to maintain a romantic relationship? I had mixed feelings about this book which I had to split up before writing this review. Ms. Jeevani seems to of taken her inspiration for the book from the recent relationship and marriage of Megan Markle and Prince Harry. Whilst reading it felt very much like reading about the couple just with different names and that Kumari is Sri Lankan. However, putting this to one side I can clearly see a great story underneath. I’m not a massive Royal family fan. Don’t get me wrong I like having a Royal family in the UK I just don’t know their every move, just like I don’t take notice of pop stars and movie stars. So to me whilst I did have the whole Megan and Harry in my head I wouldn’t know if some of the situations were based on real events, to me, everything was fictionalised, I may be wrong, I don’t know. The book was easy to read and just flowed. It had short chapters with newspaper or website snippets at the top. I got through it in no time and I enjoyed every minute. The characters were just lovely, although I wasn’t sure whether they were a suitable match for one another. I do think that maybe their differences were a little too much at times and their relationship felt strained. The only thing I will say is that this is made to look and sound, via the cover and the title, that it is a Christmas book. However, hardly any of it is set at Christmas, though what was, was perfect, I just don’t want people picking this up wanting the book to centre around Christmas as it doesn’t. What you will get it a delicious story set in a magical world where a normal person and a prince can fall in love. Hi. It’s nice to meet you, I’m Jeevani, but you can call me Jeev. Everyone does. I write women’s fiction and contemporary romances with a hint of British cynicism. I also write under the pen name Rhoda Baxter. So why the two names? Well… I’m British Sri-Lankan and the first book I wrote was about a bunch of middle class Sri Lankan people. I couldn’t find a home for it (even though I got some very nice rejection notes). The next book I wrote was a rom com with white main characters in it. That found a publisher within a year. 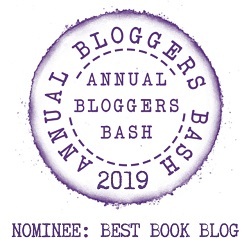 I chose to use a pen name for those books, for a variety of reasons, including the fact that my real name is difficult to spell and difficult to pronounce and marks me out as non-white. My fifth book also had Sri Lankan main characters. It hasn’t found a publisher yet. Recently, I got to write a book with Sri Lankan heroine. So it seemed only right for that book to be under my difficult to spell, difficult to pronounce name For the record, it’s pronounced Jeev-uh-nee. There’s a whole lot of other stuff I could tell you – but mainly, I’m a former scientist, a fan of Lego, an embarrassing mum, a part time geek (see ’embarrassing mum’) and a very short person. I enjoy short chapters too. Thanks for sharing. Short chapters are the best. I enjoyed this review. I thought of Prince Harry and Meghan Markle when I read the synopsis so you weren’t the only one there. Glad I wasn’t the only one. This looks too cute!!! Great review! It really is on the inside too. Excellent review. I must admit that I am rather entranced by the royal family. Thank you. They are quite entrancing, well some of them. Omg this looks so cute! Great review! I recently added this one to my tbr. It looks like such a fun read. Lovely review! Wonderful I hope you enjoy it too. I am not sure, but this might be worth a look for me. Possibly, depends on how you like your books – super cute, royal, give it a go. This sounds so cute! Great review! what a neat idea for a book. I too dont follow the Royals here in the US, however, it is always nice to see one involved with a non-Royal person.